September is Suicide Prevention Awareness Month. 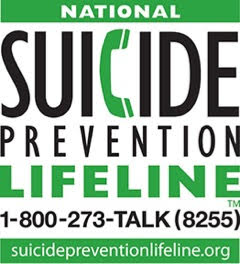 Suicide is the SECOND leading cause of death among individuals between the ages of 20 and 39 and is the FOURTH leading cause of preventable death among those ages 40 to 64. We can all play a pivotal role in preventing suicide by learning to recognize the signs and symptoms and asking direct questions if we are concerned. Keep them safe: Find out if your loved one has thought about ways to do it. Separate them from anything they are thinking of using to hurt themselves. Be there: Listen to your loved one’s reasons for feeling in pain. Listen without judgment and with empathy. Help them connect: Help your loved one connect to a support system like 1-800-273-TALK (see more resources below). Follow up: Making contact in the days or weeks after a crisis can make the difference between losing a loved one and keep-ing them alive. More information and resources are available through the Suicide Prevention page of the Orange County, North Carolina website; the National Alliance on Mental Illness; the #BeThe1To movement; and the National Suicide Hotline at 1-800-273 TALK (8255).